Discover the magnificent Frizory Hair Salon Elementor template! 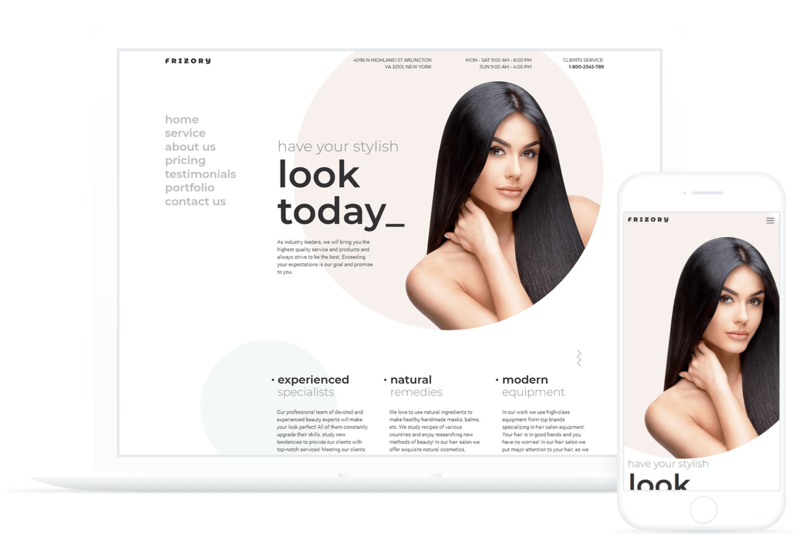 It will help you create a competitive website with loads of pre-styled sections, Elementor widgets, plugins and stunning visual effects!This Hair Salon WordPress template is truly perfect thanks to its advanced functionality and minimalistic design. It will represent your beauty business, such as hairdresser's parlor, barbershop or beauty salon, in the most attractive way.